Anyone with an eye for good images and a passion for photography can set up her own photography business. But to make a living out of passion, you will need more than just the necessary skills; that is, you must learn the business. While you cannot know for sure if you will succeed, putting some thought into how you start the business can spell the critical difference between success and a failure. As a new photography business owner, start by having a broad range of knowledge in different areas. Do fashion photography, wedding photography, portraiture, product photography and other formats to get your business up and running. Use and learn from your photography skills to the business’s best advantage so you can define a specialty in the future. Determine what types of photography you will offer. Brush up on your skills by doing some photo sessions regarding your specialty and target audience. For instance, if you plan to do wedding photography, start by offering your services at a lower price and build up your portfolio from these. You will also increase your potential of getting your name out there as a wedding photographer. You should also know your limitations and not accept offers on which you can’t deliver. Once you have a stunning portfolio and have earned a list of satisfied clients, you can create a catchy name and register your business. Register your business with local officials and set up a bank account exclusively for the business. You may also hire someone to provide legal advice regarding your business. Also, seek out a business accountant to help you meet your tax obligations. Organize the business. Make a list of your future goals as well as avenues you would like to explore along with clear objectives. Take a look at the competition and list strategies regarding how can differentiate your business from these competitors. Set up pricing information. Decide on a price list for your photographs and services. Set a list for prices for indoor and outdoor photography and/or your service per hour. Compare prices with other photographers in your general area so you can price yourself accordingly. Prepare your marketing campaign. Design a business card, a website and a sample portfolio. Spread the word about your photography business. Create flyers and put ads in local newspapers. Create a portfolio consisting of your best photos in a photo album. Make your portfolio look professional, as this represents the kind of quality of work you offer. Have business cards on you at all times. Soon you will get assignments and meet other potential clients. 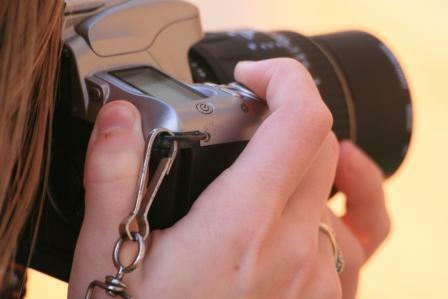 When you meet new people, chances are some of them will need a photographer for an upcoming event or gathering. Ask for referrals. If you can provide a referral fee, you can grow your business even more. Always stay alert and maintain your photographic instincts. You may suddenly witness a newsworthy event and sell a winning shot to a local or national paper. Such also provides great advertising for your business.